Premier Spine and Sports Medicine Christopher D. Clark, M.D. Dr. Christopher Clark, with Premier Spine and Sports Medicine, offers innovative care and pain management to patients of all ages in the Hagerstown, Maryland, region. His areas of expertise include interventional pain management, musculoskeletal medicine, sports medicine, and regenerative injection therapies. Dr. Clark is also registered to practice medical acupuncture. 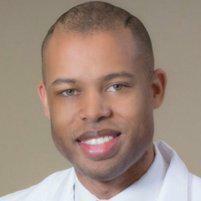 Dr. Clark graduated from Taylor University with a bachelor’s degree in biology. He earned his medical degree from the Brody School of Medicine at East Carolina University in Greenville, North Carolina. He then stayed in Greenville to complete an internship in internal medicine at Vidant Medical Center. After finishing a physical medicine and rehabilitation residency at Sinai Hospital in Baltimore, Maryland, Dr. Clark completed a yearlong fellowship in interventional pain management and musculoskeletal medicine. Dr. Clark is a member of the American Medical Association, the American Academy of Physical Medicine and Rehabilitation, the International Spine Intervention Society, and the American Society of Pain Physicians. When he’s not treating patients, Dr. Clark enjoys spending time outdoors with his wife, daughter, and two sons. He’s an avid golfer and enjoys playing basketball and rooting for his hometown NFL team, the Carolina Panthers.